＠ この轟音が三菱A6M2b零式艦上戦闘機二一型の世界で唯一現存するオリジナルの栄発動機（実際には零戦五二型の栄二一型だが）のエンジンサウンドだ！ ； Please enjoy the only real active sound of "SAKAE" engine of the ZERO Fighter ! I, my call sign "ZEKE", a layer talks about not only legal topics but also a lot of topics about news and my favorite hobbies and so on. If you want to contact me, please click "メール/Mail", the mail form will pop up. Also avairable to send a message to ZEKE to use a comment using a secret mode. I hope you like this Blog "With Sprit of SAIUN" ! 2014.10.19 この轟音が三菱A6M2b零式艦上戦闘機二一型の世界で唯一現存するオリジナルの栄発動機（実際には零戦五二型の栄二一型だが）のエンジンサウンドだ！ ； Please enjoy the only real active sound of "SAKAE" engine of the ZERO Fighter ! This topic is so long and heavy for an ordinally blog reader ! Are you really ready to read this extraordinally long topic? The Mitsubishi A6M2b ZERO fighter Type 21 (the Allied codename was "ZEKE") was a carrier-based fighter aircraft used by the Imperial Japanese Navy in World War II. 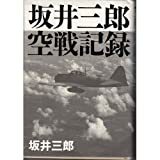 When it was debuted into the late of the China War before the World War II, the ZERO was the best carrier-based fighter aircraft in the world, combining excellent maneuverability and very long range. 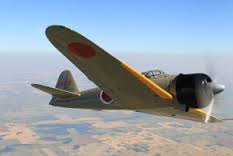 This ZERO fighter "V-128" was the aircraft which was airborne from the Rabaul Air-Base in East New Britain province, Papua New Guinea on August 7th, 1942 and participated in the combat sortie over Guadalcanal by Flight Petty Officer, 1st Class (Final rank: Lieutenant Junior Grade) Saburo "SAMURAI !" SAKAI, who is the worldly famous author of the battle autobiography "SAMURAI !" (Ozora no SAMURAI) . On that day, although he was heavily injured in his head, lost-sight of his right-eye, chest, left leg, elbow attacked by the dive bombers, Douglas SBD Dauntless of the U.S. NAVY, he miraculously managed to arrive at the Rabaul Air-Base after a struggle over 4-1/2 hours painful flight for 560 nautical miles (1,037km)*. *　"Nautical Mile", which is also called "Sea Mile", is represented in Chinese characters of Japanese as "海里" or "浬". "カイリ" in Katakana, which is generally used, is not really formal. Speed display on Japanese aircraft and vessels as above does not mean 1 mile: which is "Grand mile" converted to about 1,6093km(usually just only called a mile = マイル), still used mostly in American area for the speed of cars on the ground etc. It means here 1mile (mutical Mile), which is converted to approx. 1.852km in kilometers terms for speed, and, 1feet (30.48cm) is still used for altitude, in former Western countries under the time of the cold war including Japan, for Speed and Altitude display of aircrafts and vessels. Strangely, former Eastern countries' aircrafts and vessels have been migrated to Metric representation for altitude and speed display from much earlier time. An antenna support pole for radio at the back of canopy was cut down from the root of canopy and removed. Not equipped with a Crusey Radio Navigation System for aircrafts and its loop antenna. An arresting hook was not equipped at the underside of the rear body of this airplane, and a hole on the airframe for the arresting hook was covered by iron or duralumin plate. Finemoldes' figure of Lieutenant Junior Grade Saburo SAKAI captures his form relatively well. However, if you build it straight from the box, the both arms do not reach its waist and it looks as if standing upright since it is putting balance on the both legs equally. Therefore, I myself have built and modified as his one of favorite poses, putting both arms on its waist and putting center of gravity on its one leg. A Special Gorgeous Edition Book of "SAMURAI !" 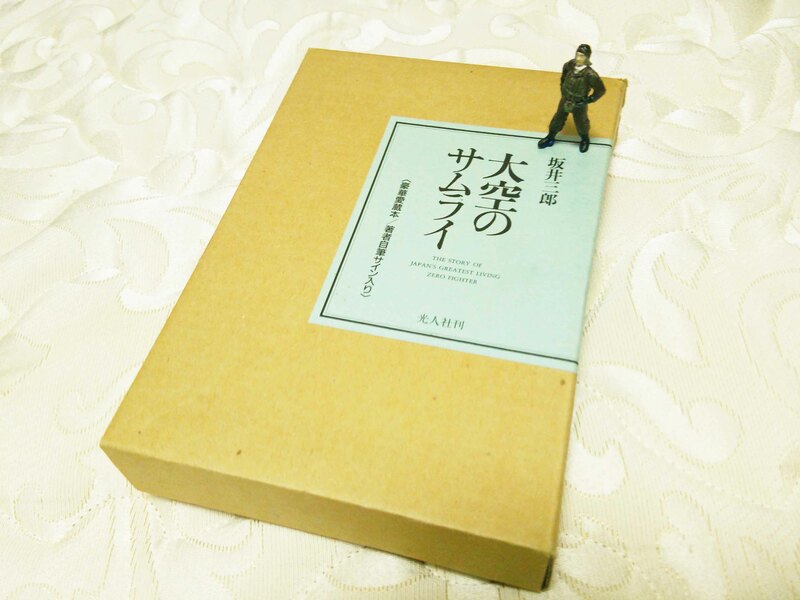 wrapped in a case of the corrugated cardboard with the 1/32 figure of Lieutenant Junior Grade Saburo SAKAI. A Special Gorgeous Edition Book of "SAMURAI !" 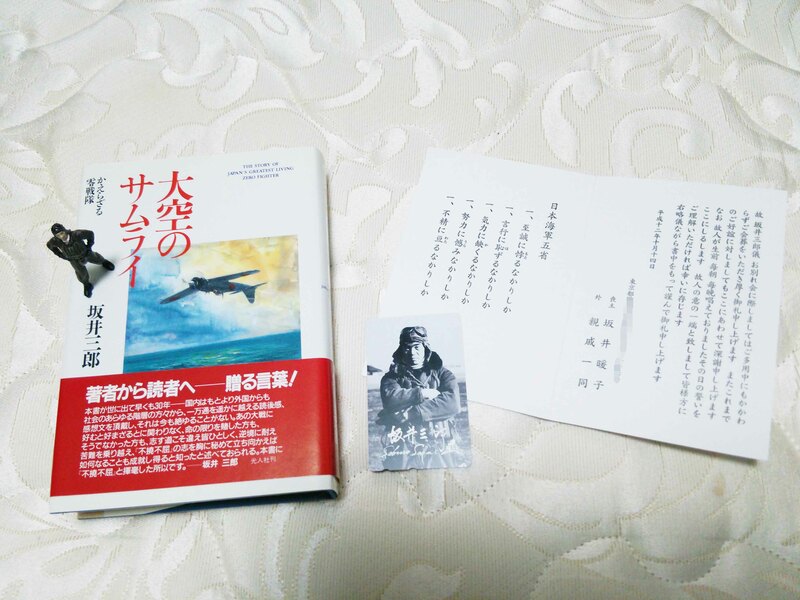 with the 1/32 figure of Lieutenant Junior Grade Saburo SAKAI, and a thank-you letter for his funeral and a telephone prepaid card of his portrait which have been sent by his bereaved. 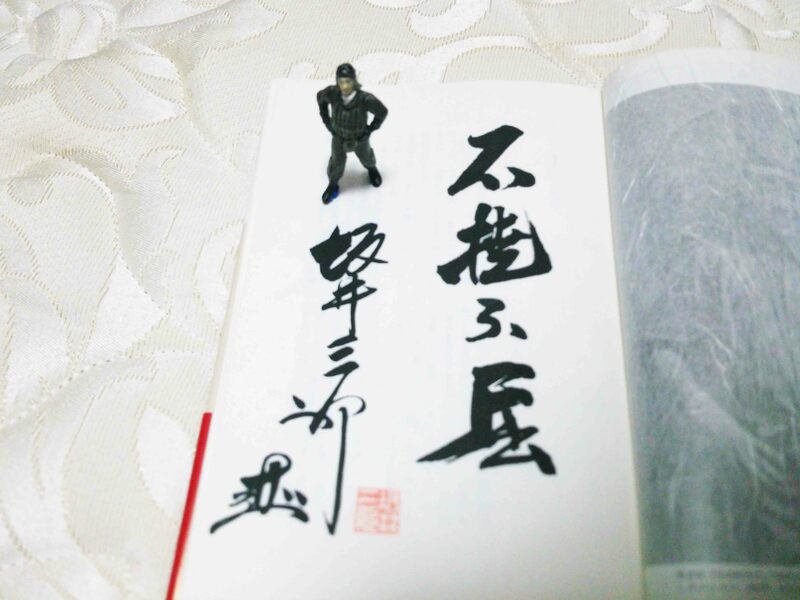 Above picture is a skillful calligraphy by Lieutenant Junior Grade Saburo SAKAI which includes his autograph and his motto: "不撓不屈" ("Futo-fukutsu") , in a Special Gorgeous Edition Book of "SAMURAI ! " 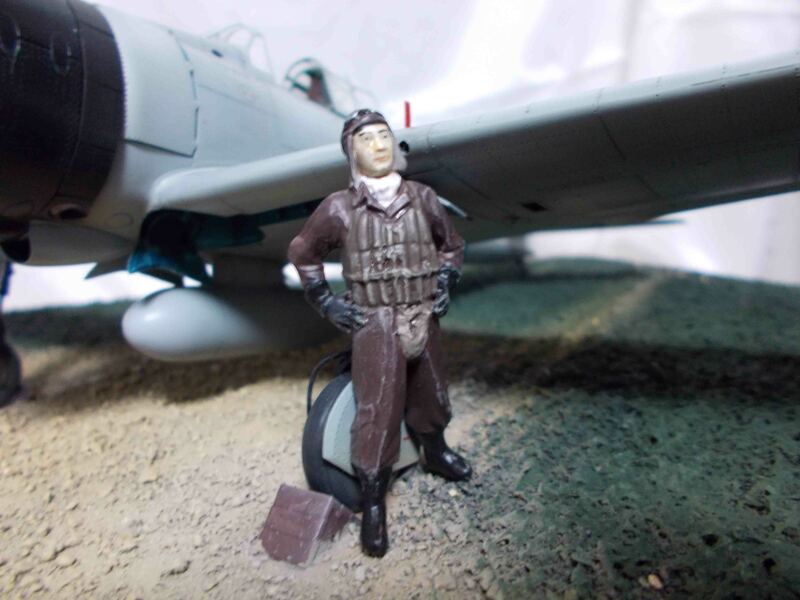 with the 1/32 figure of Lieutenant Junior Grade Saburo SAKAI. 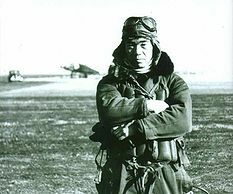 U.S. Navy Atsugi Air Squadron Commander, who made speech in English at his funeral, expressed his motto : "Futo-fukutsu" as "Never Give Up". この轟音が三菱A6M2b零式艦上戦闘機二一型の世界で唯一現存するオリジナルの栄発動機（実際には零戦五二型の栄二一型だが）のエンジンサウンドだ！ ； Please enjoy the only real active sound of "SAKAE" engine of the ZERO Fighter ! 今一度、1/48彩雲T2-4804号機の"凄さ"を見直してみる・・・！/ Let's check it out AGAIN how GREAT is this "SAIUN T2-4804" ! ジム改：地球連邦軍ＭＳアクロバット・チーム "ブルーライトニング" 仕様　～　宇宙世紀0082 "THE FIRST STEP"
Wow! !Your article is very interesting. We have great models in America but Japan models are also wonderful!! Hi, ZERO, thank you for your visiting my site and leave your comments. I know you can find excellent modelers in all over the world, however there are wonderful modelers even in Japan. I am glad you understand that. BTW, what do you think of this Zero Fighter "V-128"? Sorry for my too late reply! I thought engine sounds are so real! I am really interested to see more detailed pictures. Sakai Saburo's figure is also great! Copyright ©＠ All Rights Reserved.